Techland with IGN released the first gameplay Dead Island Riptide video, which describes not only the open island’s world, a wide range of interaction subjects, but also how to survive when there a lot more dead than alive. The second part will have more action based on the fact that the zombies are much angrier and more aggressive, and their attacks became more meaningful. Also in alpha video shows stationary six-guns machine, high-explosive mines and other nonstandard ways of finally killing the undead. 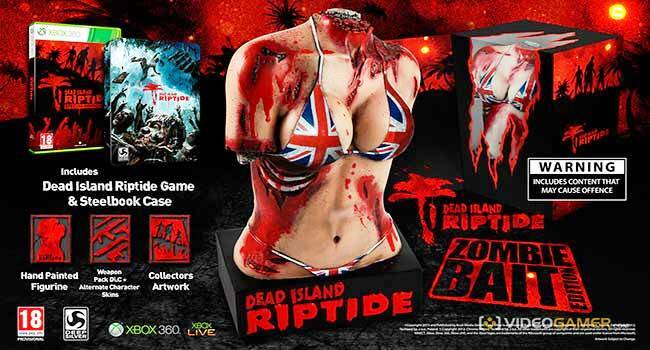 Trailer shows only the console Dead Island Riptide alpha version, so we should expect an early release of new video since before the release of remaining 3 months, which will be held April 26, 2013.